“Black Mirror: Bandersnatch” is an interactive film that allows viewers to choose their own path. And some of them in the dark world of MK-ULTRA. Here’s a look at the deeper meaning of Bandersnatch. 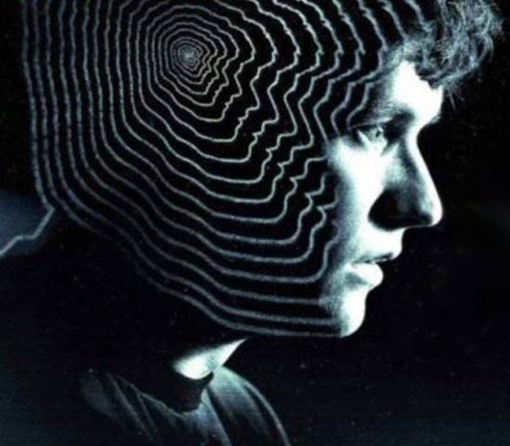 Described as a “Netflix event”, Black Mirror: Bandersnatch is an interactive film that allows viewers to “choose their own adventure”. On several occasion during the film, viewers are presented with two options and are given 10 seconds to decide. Upon selection, the option plays out and the narrative adapts accordingly. Consequently, the choices made by the viewers lead to different scenes, story paths and, ultimately, to different endings. However, once an ending is reached, the film loops the viewers back to unselected choices, making it easy to view the entire film and analyze it as a whole. The viewers are making the decisions for Stefan Butler, a young computer whiz who is adapting a fantasy choose-your-own-adventure book into a video game. The film appears to be heavily inspired by this 1984 BBC documentary that follows the creation of a “mega-game” named Bandersnatch by the London software company Imagine before the holiday season. That game was never released. Black Mirror: Bandersnatch takes the context of this fascinating period of British tech history and adds a whole lot of creepiness to it. And, considering the fact that this is a Black Mirrorepisode – a series about the potentially perverse effects of modern technology on humanity – things get very meta, very quickly. In fact, several levels of meta end up leaving most viewers’ minds looking like this. So many levels of meta. As Stefan attempts to create an innovative game that allows multiple narrative paths, he’s also the protagonist of an innovative film that allows multiple narrative paths. As things progress, Stefan realizes that he is not in control of his own mind – the viewer is. This realization triggers a descent into madness as Stefan begins obsessing about a specific symbol (named the “White Bear”) and a demon named Pax. 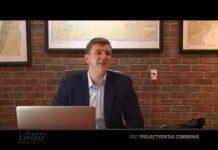 In short, the viewer controls Stefan’s mind. In shorter, that’s mind control. Appropriately enough, the film is replete with symbolism relating to MK-ULTRA and trauma-based mind control. Furthermore, in some story paths, Stefan discovers that he’s was drugged, studied and monitored since birth. While several news sources analyzed Bandersnatch, nearly all of them missed an obvious point: It is about trauma-based mind control. From the backstory of the protagonist to the MK-symbolism peppered throughout, Bandersnatch is an “adventure” in the mind of a slave. And it all starts with the title of the episode. 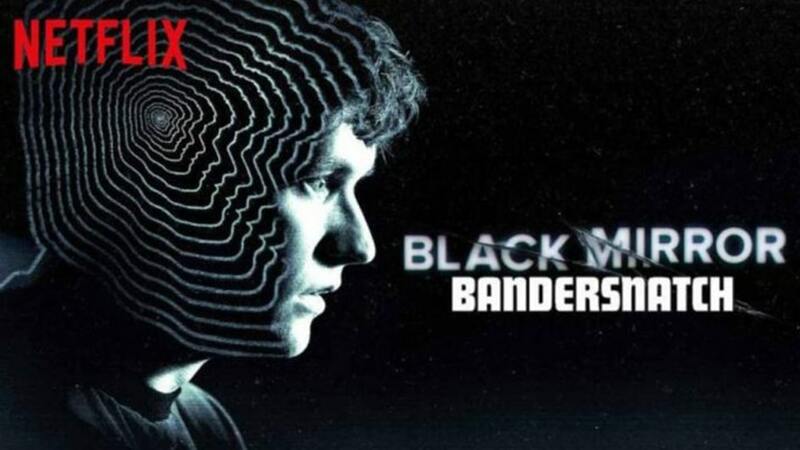 Stefan’s video game is based on a book named Bandersnatch. The maze pattern at the bottom of the cover hints to MK programming. As things progress, Stefan’s game will end up reflecting his own struggle. The book Bandersnatch and its author Jerome F. Davies are totally fictional. However, the origins of the name Bandersnatch leads us deep into mind-control lore. Bandersnatch is the name of a fictional creature in Lewis Carroll’s 1872 novel Alice Through the Looking-Glass, the sequel to Alice’s Adventures in Wonderland. 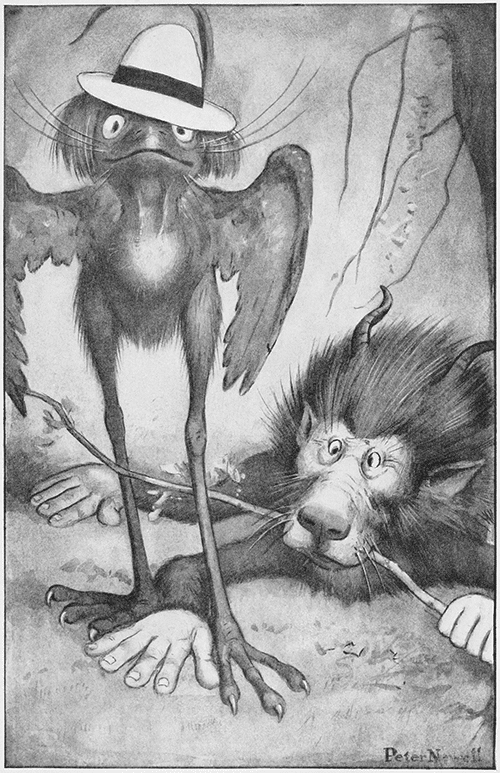 Peter Newell’s illustration of the Bandersnatch (right) – a horned lion. We’ll later see that Stefan see lions everywhere in the film. As discussed in many articles on this site, the story of Alice in Wonderland is an actual programming script used in trauma-based mind control. The same way Alice “goes through the looking glass” to Wonderland, MK slaves are told to dissociate, mentally leaving the real world to retreat to the internal world created by the programmer. For this reason, symbolism associated with Alice in Wonderland is constantly used in mass media to illustrate mind control. Obviously, Bandersnatch is no exception. The name itself is a direct reference to Alice in Wonderland. Furthermore, Stefan even ends up looking for a white rabbit by going through a mirror (more on this later). Before learning about the dark truth about Stefan, we see several clues relating to his mind control. However, it is only on second viewing that these scenes take on their full meaning. Stefan wakes up and takes a couple of pills. He’ll soon discover that he has been medicated his entire life. As Stefan goes to the kitchen to eat breakfast, his father suspiciously locks the door to his study. There are some dark secrets in there. Stefan’s father (and handler) intently puts out a cigarette in an ashtray. This gesture is seen on several occasions during the film and, every time, Stefan is bothered and disturbed by it. Is it a trigger signal? Stefan will later use this ashtray to kill his father. 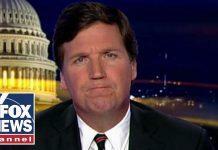 As Stefan embarks in the creation of his video game for the software company Tuckersoft, he also takes interest in the dark story of the author of the book Bandersnatch. Stefan reads a biography of the author of Bandersnatch titled “The Lives of Jerome F. Davies”. The plural “lives” alludes to several MK personas. As Stefan flips through the pages, we briefly see a chapter titled “Mind Control Conspiracies”. Stefan learns that the author was obsessing over a symbol (called the “White Bear”). After killing and decapitating his wife, Davies drew the symbol using her blood. This is reminiscent to the gruesome murders committed by the followers of Charles Manson (an MK slave/handler) who drew words and symbols on the walls using the blood of their victims.